At this point, I kind of look forward to watching this anime, because then I can see just how many tropes they've overused and then bash it. It's a weird kind of pleasure. Wow, even I kind of want a cat-shaped cookie. 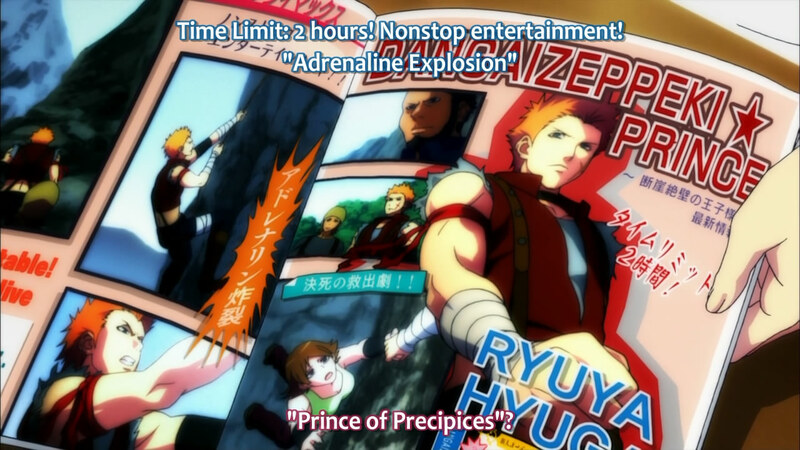 These two episodes quickly showed more of the "harem of boys", with the focus on Ren and then Sho. At least Ren's episode was music-oriented - he had yet to submit his lyrics assignment from before, due to some random emo on his part regarding his family. Sho, on the other hand, had an episode dedicated to attempting to get a small part in a movie, which made me wonder why he needed to be at a music-oriented school if his interest was acting. Idols do lots of things, but Saotome Academy is clearly for music, first and foremost. Anyway, only Natsuki is left to be focused on, after which I'm sure (or maybe just hopeful) that Tokiya and a story will get some screen-time. Ep04 was about Ren, who was seen at the end of the previous episode, being generally angry/jealous of Masato. The episode began with a dance routine performed by Otoya, Masato and Natsuki. I'm sure it was a great dance routine, very becoming of an idol - but it just made me laugh. I don't know what it was. Was it too over-the-top? out of place? strange in broad daylight? Whatever it was, I just laughed. Ren showed up to crash the party, unable to see Masato being so happy around Haruka (even though he had a group of girls following him around), and Hyuga-sensei dropping by revealed that Ren was on the verge of being expelled, after both skipping classes and not handing in assignments. It turned out that not only are Masato and Ren rivals due to their parents' companies, but they're also childhood (best) friends. 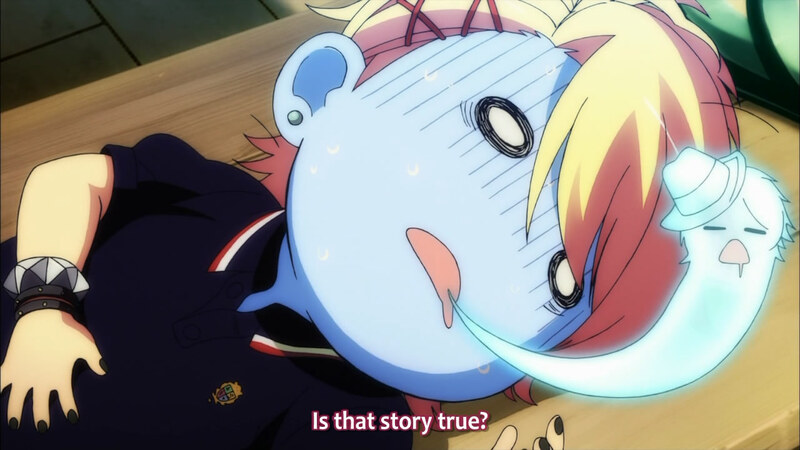 It's pretty interesting how many different shoujo themes they can weave into this one story. But, anyway, apparently they were very good friends, always thinking alike, in their childhood, but grew apart as they grew up and became more and more aware of their family's rivalries. 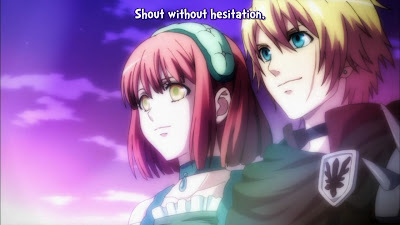 (Romeo and Juliet?!) It was especially intriguing to hear that Masato was only allowed to attend Saotome Academy if it was for a year, whereas Ren was sent there by his older brother to become successful in the show business and add to the glamour of the family. Underneath it all, I did feel a little for his plight; despite having a true passion for music and even getting to attend Saotome Academy, he was unable to do it on his own terms and, in the end, unable to walk his own path. That must be pretty maddening. I wonder how Sho found out that Natsuki can't cook. 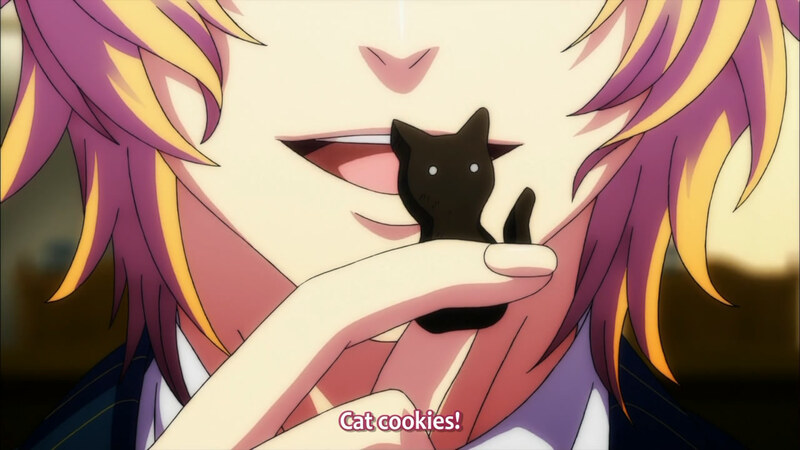 Will this be enough for Tokiya to love her? 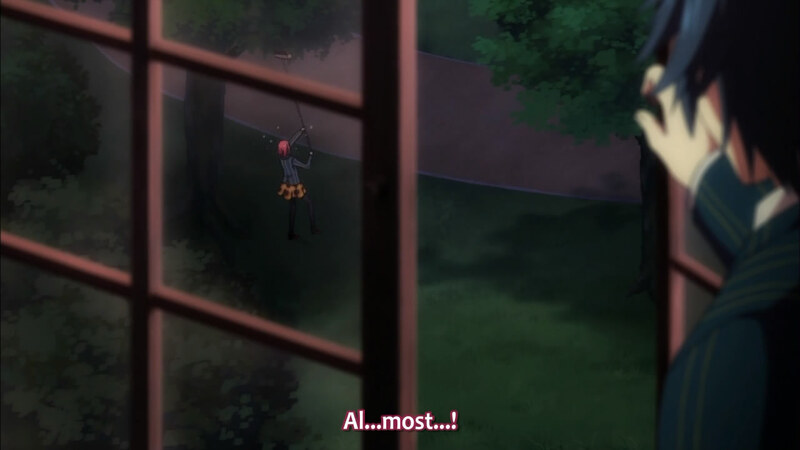 Once again proving that Tokiya is the main love interest in the anime, he showed up randomly and for no reason, watching Haruka as she attempted to get a piece of the paper out of the tree. 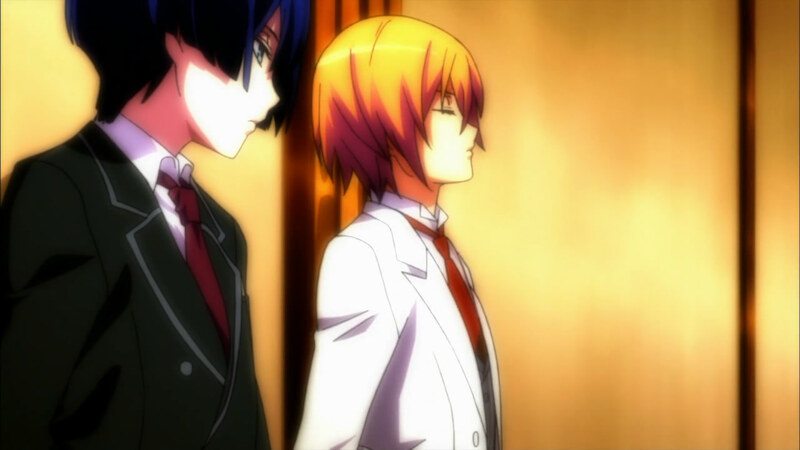 (He also showed up at the end of the episode, as he and Haruka stared at each other in the hallway.) On another note, Haruka is so super pro that she managed to gather tiny pieces of paper that Ren had flung out into the wind. I have to give her credit for that; that's truly amazing. How does this pertain to the piece of paper?! I'm surprised the lake wasn't featured more in this episode, considering Ren's "moment of truth" with Haruka occurred in some kind of field/meadow/other generic scenic place. He whistled a tune his mother had left for him, revealing his background story in a flashback. His mother (potentially being his father's mistress or Wife #2) had died in his childhood and his father had removed all "evidence" of her, either out of grief or general evilness. Ren managed to save a demo tape, as she had been a singer/performer, and on it was a song that she had dedicated to her unborn son. After Haruka showed up, with the taped-up paper of lyrics, she announced that his lyrics were great and ran off to find the remaining pieces after giving him some kind of motivational speech. Ren's only response (to himself) was that she would never find the remaining paper, because he hadn't written it yet. Seriously, I hope that made sense in Japanese, because it didn't in English. The paper and the contents have nothing to do with each other, okay? 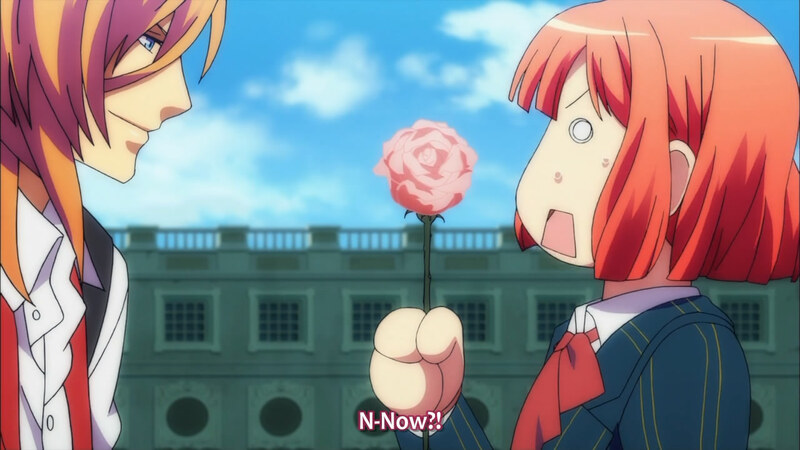 Haruka's apparently not thinking about love at all. Cliche. While the others (save for Tokiya and Masato) looked for the paper, the bell rang to signal the end of the day, and it was the end of the extra time that Ren had been granted. Judging by Tsukimiya-sensei's encounter with Hyuga-sensei, apparently they had both wanted for Ren to "shape up" (maybe grasp his own destiny, despite the pitfalls? But I'm just adding words there), but they couldn't do anything for him if he didn't care. But, of course, Ren suddenly came onto the PA System and sang his song, thereby avoiding expulsion and also showing everyone that he did care - and also, to the viewer, that he was on love with Haruka. When did that happen? Blah. Surprisingly, there was no "montage of bonding scenes" with the insert song this time. 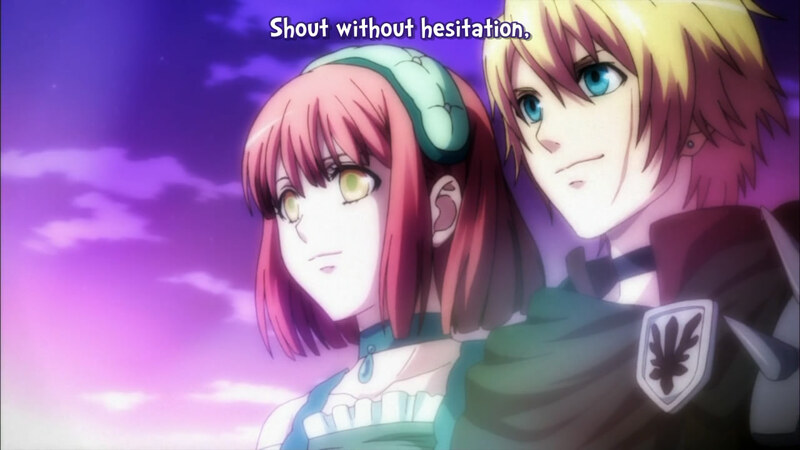 I wonder if it's because Ren is in the S Class and has less encounters with Haruka? Hyuga-sensei reminds me of Kyousuke from Hungry Heart Wild Striker. Ep05 was focused on Sho, although the lead-in was different. 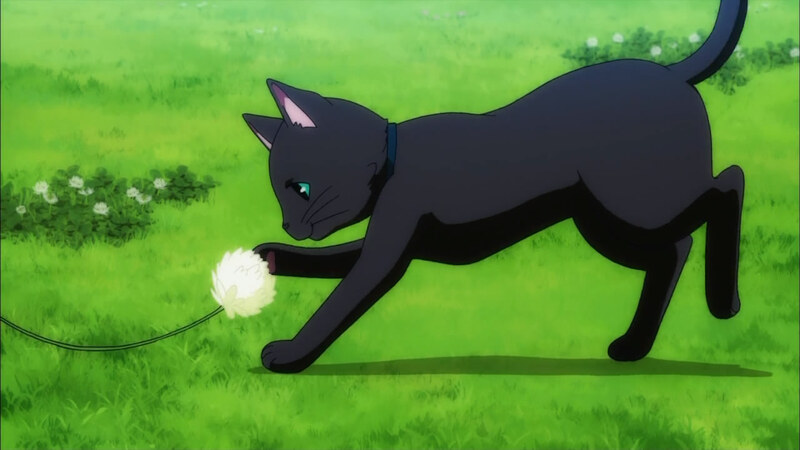 After having a drive-by with Tokiya (from the end of the last episode), Haruka went on to play in the field with that cat that's always around (I don't want to use its name; what the hell kind of name is "Kuruppu"?!). After giving a "recap" of her happy and fun days (in the guise of writing to her grandmother again; I hope she's actually mailing all these letters), she caught Sho dangling from a tree and falling off in surprise. 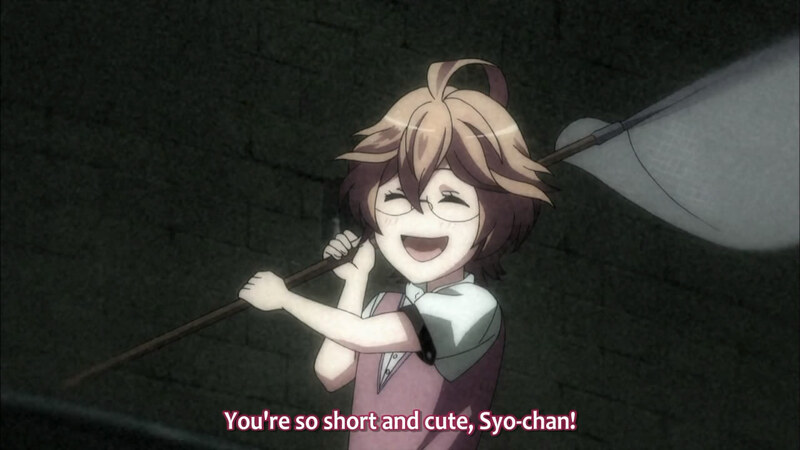 (That's how I knew the episode was about him.) Talking with Otoya and Tomo in the classroom, they discussed Hyuga-sensei's upcoming movie. Two hours to climb a random mountain for random reasons! ...I guess Hyuga-sensei's character "upgraded" his scars for the next movie? Once alone, Sho revealed that he had every intention of trying out for the movie, as he had loved Hyuga-sensei ever since he saw the movie "Prince of Fights". Telling Haruka through an insert song (this was undoubtedly his "character song"), it was pretty clear that whatever love was going to blossom in Sho's heart had already done so. That was pretty quick; at this point, I was only 10min into the episode (including the OP). Like with Ren, there was no montage of bonding scenes, making me reaffirm that it probably had something to do with the different classes. Of course, this had nothing to do with Sho's wanting to become an idol; I mean, he can probably sing, but his aspirations seem to be in acting. I know that idols do act, but isn't that kind of a long route to take? Childhood friends mean childhood torments. After Natsuki invariably found them, however, the plan to get Sho to get over his fear of heights began. (This is what he had been doing earlier in the episode, dangling from a tree, and the only thing stopping him from auditioning, since the movie would have a lot of "high places".) In this endeavour, all of the boys (save Tokiya, as usual) helped out. It pretty much involved dropping Sho from various high places, kind of like shock therapy. When he was passed out and exhausted, the principal showed up and the new plan was hypnotism. All of this was pretty much just comedic relief; I mean, people don't "just" get over lifelong fears so easily. Even by tracing the root, it takes much effort to truly heal. Moreover, Sho was already "in love" with Haruka, so it felt like filler. At any rate, it turned out that Natsuki's childhood games with Sho caused him to almost fall out of a tower, thus sparking his phobia. 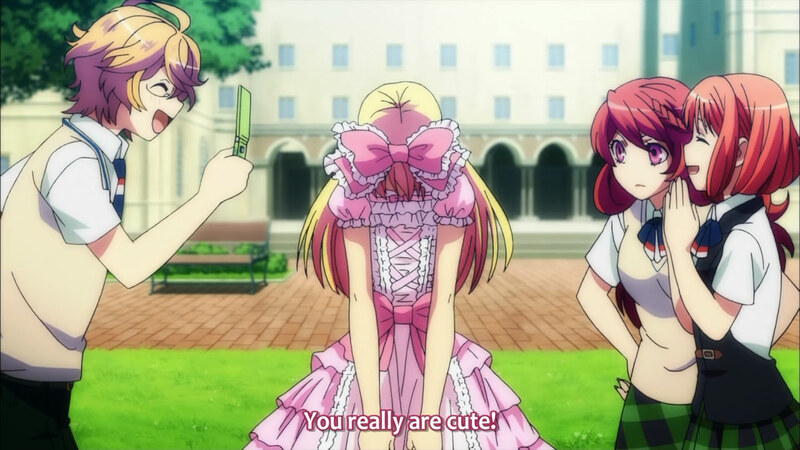 No one ever finds crossdressing weird when it's not "real". At the end, all of their effort turned out to be pointless, since the audition was to play the part of Hyuga-sensei's younger sister. It felt almost obligatory when Natsuki dressed up Sho as a girl - and how, upon seeing it, Hyuga-sensei just had to comment that that was exactly how he imagined his younger sister to be. There was no real closure as to whether or not "Shoko-chan" went to the audition or even got the part, but there really should have been. This was really quite the pointless episode for Sho. A part of me hopes that he was just putting Haruka into the song as the female interest simply because she was there, but that's probably not the case. This is a reverse harem, after all. It's nice that they're showing Sho as being interested in acting; there's more to being an idol than just singing. But that's my point: why is he trying to be an idol, then? 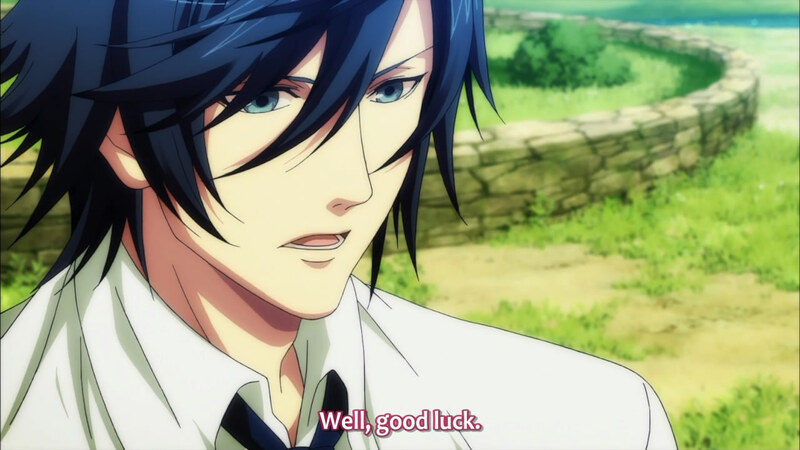 This episode had ample appearances of Tokiya, after seeing Haruka at the very beginning in the hallway. 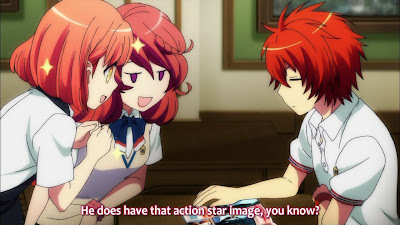 He asked Otoya about her, and then met her in the convenience store as she was buying water for Sho (after the team's various training methods but before the principal stepped in). I don't know what to make of his speech. He's obviously jealous, but I'm not sure of what. It's a really far stretch to say that he already likes her and is jealous of her bestowing attention on other males, but the way this anime is progressing, I wouldn't be surprised. I think his "heart might be opening up", because he was attempting to outdo his brother out of thoughts of vengeance, but after meeting Haruka, he'll change. That seems like the way this shoujo will play out. 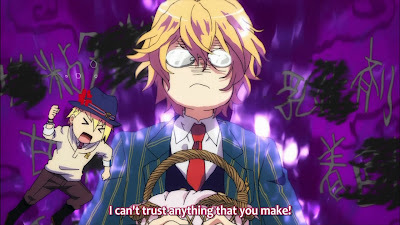 Sho spent much of the episode freaking out. Speaking of which, I'm wondering if I didn't brush aside Otoya too soon. The other four - Ren and Masato, and Natsuki and Sho - are pairs of childhood friends, which kind of puts them out of the running as "main love interest" for the anime. They're too "generic" when they share qualities with each other. 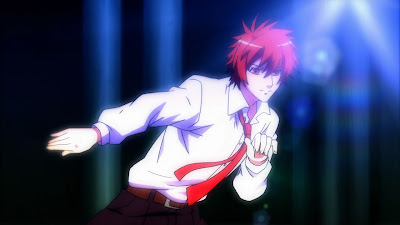 Otoya, however, shares a room with Tokiya and was also the first one she met. 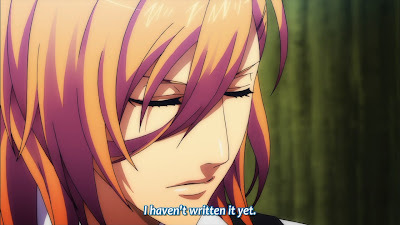 I'm still sure that Tokiya is the main character, because he has never sunk into the background while Otoya has, time and time again, but I wonder if Otoya isn't still important. With one more character episode to go - Natsuki's - until the "real" story can begin, I still don't have a clear idea of which path(s) they'll decide to take. I guess the kitty is just a real kitty in the end. I enjoyed these episodes in a very sadistic manner - it's full of examples of poorly-done cliches - and I'm actually looking forward to ep07. After finishing with Natsuki, I'm sure we'll see more of Tokiya, and perhaps some kind of actual story (no matter how terrible or brief) will begin.